What do you think of this Moon Wall Light? What's different about the moon tonight? 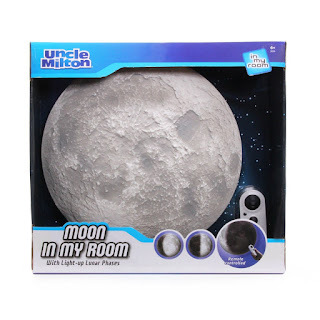 This authentically detailed model of the moon hangs on your wall and shines moon light just like the real moon. The twelve different phase settings let you match what the real moon looks like outside. BONUS QUESTION! Who has the best price? Today it is definitely the US Amazon site at 46% off!